And for a good reason... According to a report published by Nielsen, Star Wars fans spend more than the average moviegoer on merchandise. In fact, it is predicted by some that the movie may make more in merchandising than movie tickets. Hollywood Branded looks at the top promotional tie-ins with Star Wars: The Force Awakens and why the film's marketing plan is a gold mine for brands. Before we even start on recapping the brand-a-palooza that is now known as Star Wars... anyone who has ever seen The Colbert Report or The Late Show With Stephen Colbert knows that Mr. Colbert has been a Star Wars fan since day one - and has the merchandise to prove it (including a nifty Luke Skywalker bath kit that attaches to a belt). On his show, he gives his own unique take on the promotional marketing integrations. Check out the video below! All jokes aside, Disney's marketing team behind the new Star Wars film knows how vital the legacy of the franchise is - and how much money its fandom can (and will) bring in. The merchandising rights to the Star Wars franchise were basically unbridled, with planned shopping days like "Force Friday" featuring brands taking full advantage of the opportunity. Some brands like CoverGirl approached the new film in an innovative way, appealing to non-traditional demographics with 'light side' and 'dark side' themed makeup while other companies like General Mills went a traditional route, coming out with themed cereals and boxes complete with a Star Wars - themed prize inside. The following brands partnered with the film to create massive campaigns that worked to market both the film and the individual brands' images. Subway is one of the seven main brand partners that teamed up with the film to create an in-depth promotional tie-in. From collectible cups to themed kids' meal bags complete with mini lightsabers, Subway has been in Star Wars mode for months now. This integrated partnership came at a vital time for the brand, and it did its best to detract attention from their recent PR snafu around the Jared Fogle scandal. The clever spot below was inspired by the famous and iconic cantina scene from the first movie, Star Wars: A New Hope. How do you power your lightsaber if you're in the Milky Way instead of another, far, far away galaxy? Duracell, of course. 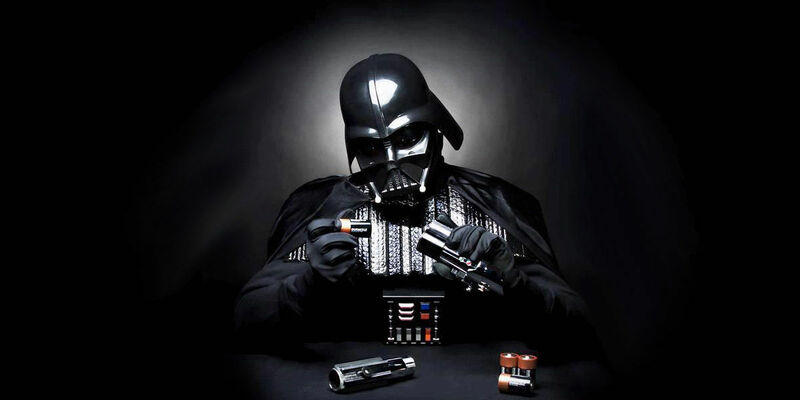 Duracell teamed up with Lucasfilm, Disney, and Industrial Light & Magic, who were all vital in creating the incredible special effects from the Star Wars saga, to create an air of authenticity for this Duracell spot which shows the magic of the series on Christmas morning. 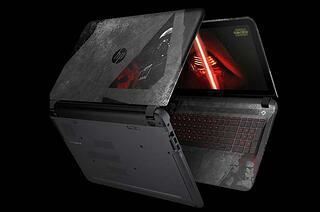 HP has been arguably the most engaging of the Star Wars promotional partners. From multiple viral videos (like the heart-warming one below) to a special edition licensed 'Dark Side' themed laptop complete with a daunting red keyboard backlight and Imperial-themed case and decor, HP has taken this partnership to interstellar levels. What made HP's campaign so engaging was the loyalty it showed to traditional Star Wars fans as well as the appeal to the next generation of fans. They also included an appeal to the family as a whole, coming together to enjoy the magic of the saga. Taglines: "Join The Dodge Side"
In a deal that Fiat Chrysler Automobiles has referred to as its "largest co-promotional partnership with a movie studio or record label in recent history" the automaker has created a massive campaign inspired by a galaxy far, far away. One might wonder how the car company would create a marketing strategy for Star Wars since Chrysler doesn't exactly manufacture B-Wing Fighters or AT-AT Walkers. However, what they came up with was brilliant. 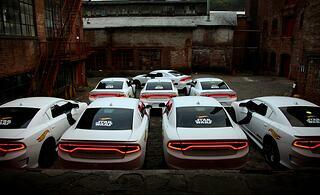 One of our favorite of their marketing strategies was a stunt they pulled with Uber, dressing up Dodge Chargers like Stormtroopers to drive around Manhattan. Needless to say, it garnered quite a bit of attention. The commercial spots were on point as well. In a spot for Jeep, an intergalactic battle zooms out to reveal the intense battle is merely a shooting star in our galaxy, providing a gorgeous view for Jeep-drivers looking at the stars. A 'dark side' and 'light side' Fiat race towards each other in a spot for the mini-car. And Mark Hamill, Mr. Luke Skywalker himself, narrates a Ram spot featuring the pickups racing through empty desert. Our personal favorite, however, is this spot for Dodge. It features a Darth Vader-like black Viper leading an Imperial force of 'Stormtrooper' Chargers, Challengers, and Durangos through the streets to the famous "Imperial March" music to get to the premiere of the new film. Here it is below. "Star Wars Nerds" are basically the Godfathers of "fandom". They were one of the first of their kind, and still have arguably the most buying power of any franchise's loyal fans, especially now that the first generation of fans are adults with salaries now. Not to mention the fact that the parent fanbase is fostering a new generation of fans, doubling the purchasing power. We think this SNL skit does a pretty good job of illustrating that loyal buying power of the Star Wars fans. Many brands make the mistake of thinking that since fantasy and period pieces don't have product placement opportunities, partnering with a film won't be effective. Promotional partnerships can be beyond beneficial to a brand's image, especially if they stay true to the legacy of the film and put together a comprehensive marketing strategy. 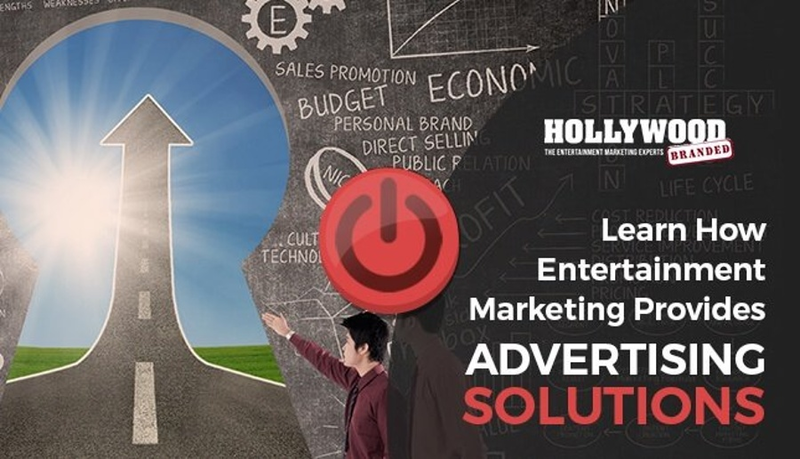 Before you spend another dollar on traditional advertising, consider the use of product placement/brand integration in your entertainment marketing strategy. Watch our video to learn techniques to conquer common advertising challenges!